You won't mind this adorable little stuffed fox in your hen house. In fact, you will want to invite him into your home! 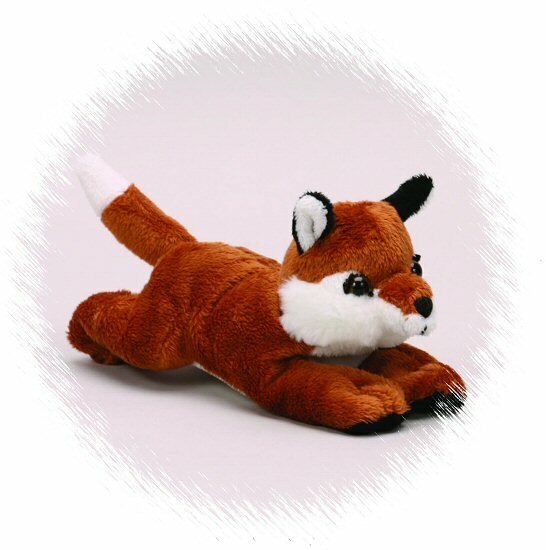 You will love this Handfuls plush fox's soft rust body, white and black accents, perky ears, and sweet smiling face. This little stuffed fox is definitely a friend for life! Hands down great quality, soft, cuddly and perfect for any décor or nursery. You can't beat CDK's prices for any of their stuffed animals. I would highly recommend this toy. I bought several different animals on here, and I am not disappointed in any one of them. Really good quality for the money!